CDC has created buttons and badges to promote action and awareness for healthy kids. You can become an advocate for health by posting one of the buttons or badges featured below to your Web site, blog, or social networking site. Add a button to your Web site. 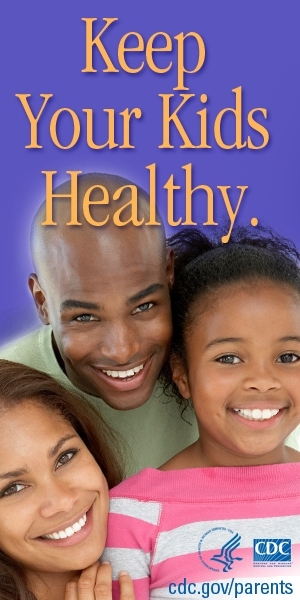 Let your Web site visitors know where to get more information about keeping kids healthy and safe. To add these buttons to your page, copy the HTML code below and paste into your site. Copy this code for this “Keep Your Kids Healthy” button (728×90): Copy code to embed. Copy this code for this “Keep Your Kids Healthy” button (130×73): Copy code to embed. Copy this code for this “Keep Your Kids Healthy” button (180×150): Copy code to embed. Copy this code for this “Keep Your Kids Healthy” button (300×250): Copy code to embed. Copy this code for this “Keep Your Kids Healthy” button (120×240): Copy code to embed. Copy this code for this “Keep Your Kids Healthy” button (120×600): Copy code to embed. 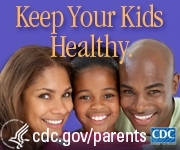 Copy this code for this “Keep Your Kids Healthy” button (160×600): Copy code to embed. 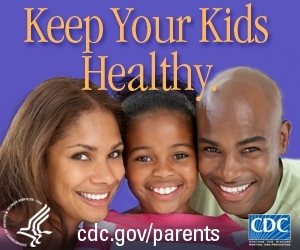 Copy this code for this “Keep Your Kids Healthy” button (300×600): Copy code to embed.